Please help us get a sense of how we’re doing! 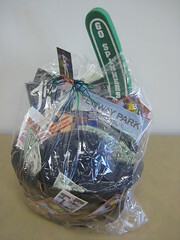 Enter at the end for a chance at a baseball-themed raffle basket, with books and Lowell Spinners tickets! * 1. What did you do during your last three library visits? * 2. Are you aware of these library services? * 3. Are you aware of these ONLINE library services? * 6. Provide your name and email to be entered to win the baseball-themed raffle basket, with books and Lowell Spinners tickets!